Megan Miller is the Director of Development and Communications for the Indiana University Center for Global Health and the Academic Model Providing Access to Healthcare (AMPATH). She holds her Bachelor of Business Administration (BBA) degree from the University of Miami (Coral Gables, FL) and her Master of Public Affairs (MPA) degree from Indiana University (Bloomington, IN). Megan and her dog, Murphy (a very active one year old black lab/golden retriever mix who loves to give kisses), volunteer through Paws and Think at various venues, including Wishard Hospital, Glendale Library, and Brooke’s Place. 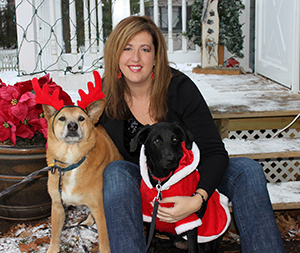 Megan is also a current board member of the IU School for Public and Environmental Affairs (SPEA) Alumni Association and an active volunteer with a local lab rescue organization – Love of Labs, Indiana. She lives in Broad Ripple with her two dogs, Charlie and Murphy.